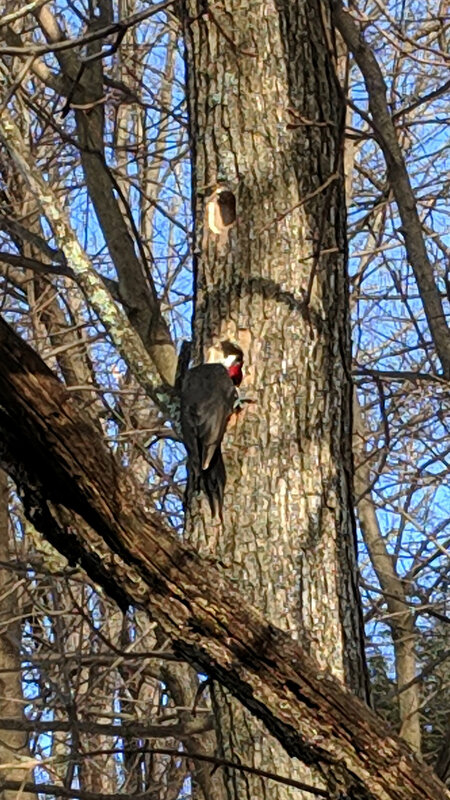 Those holes go deep enough inside the tree to serve as shelters for smaller birds during storms. We occasionally see and hear them, as well as their smaller relatives, remodeling trees around the house. Good hunting! Taken with the Pixel XL zoomed all the way tight, cropped and sharpened a smidge. This entry was posted on 2019-03-24, 07:50 and is filed under Photography & Images. You can follow any responses to this entry through RSS 2.0. You can leave a response, or trackback from your own site. Always nice to see these, they can be quite shy. 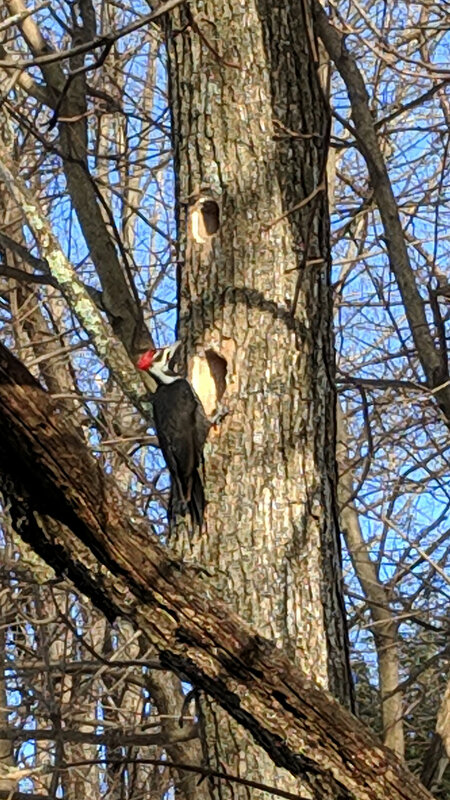 One day, that ornate head will peer around a window frame into the house, after carving a slot into the siding, and ask for a bigger suet feeder!